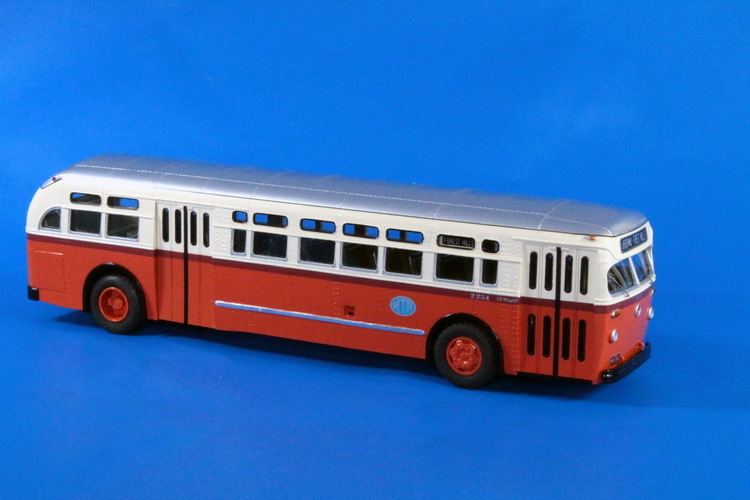 High quality O-scale models of the trams/streetcars, trolleybuses, buses, subway cars 1:43 1:45 1:48 all around the world. 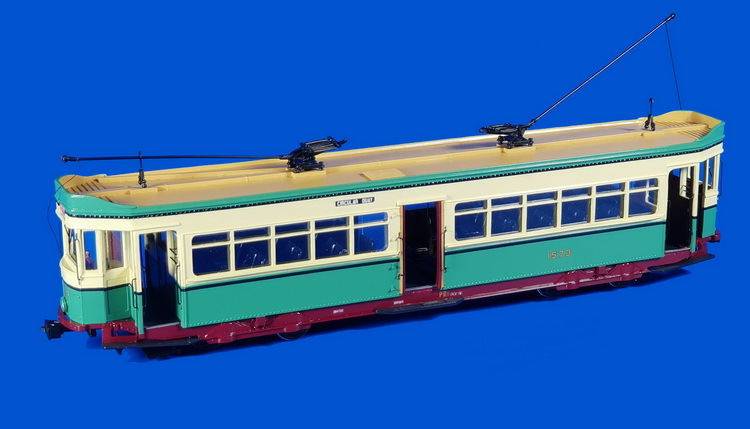 1949 Sydney PR1 Class Tram (car 1573). 1947 White 798 (A.C. Transit #1043). 1956 Mack C-49 DT (Metropolitan Transit Authority 2250-2299 series). 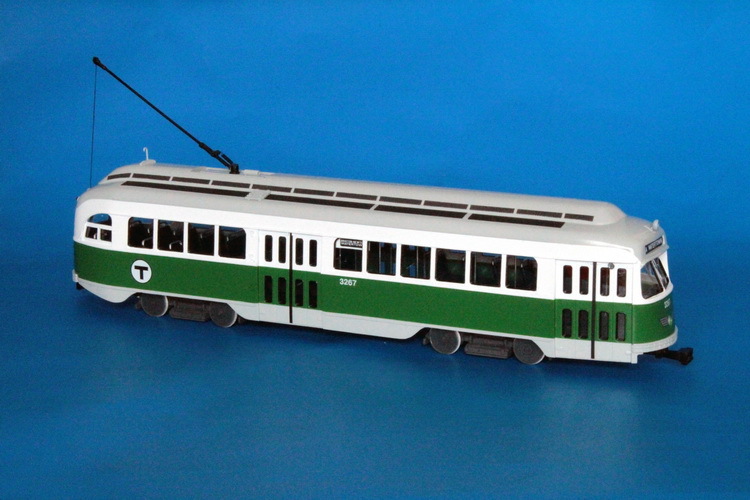 1945/46 MBTA Boston Pullman-Standard PCC (Order W6710) - MBTA Green Line livery (rehabilitated in 1978-82). 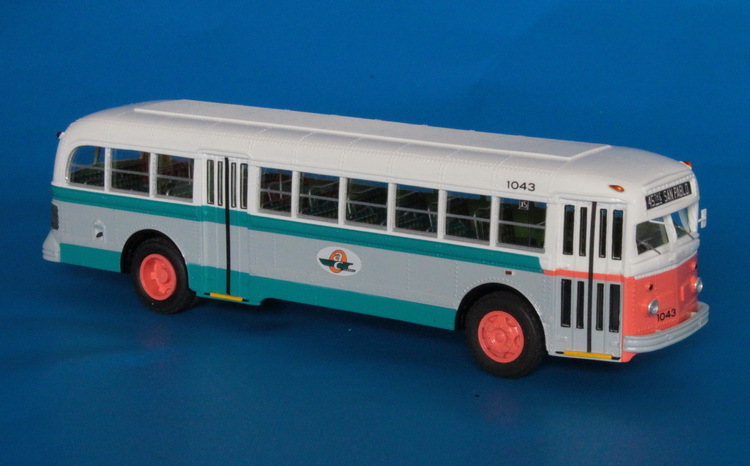 The St.-Petersburg Tram Collection offers a wide selections of high quality handbuilt transit models in O-scale. We offer: Tram/Streetcar, Interurban car, Subway car, Trolleybus/Trolley coach, Bus, Racing transporter, Post Office truck.